David McMillan remembers the confusion he felt when O.J. Simpson was acquitted of murder 20 years ago Saturday, ending the “Trial of the Century” that became a touchstone for race relations in America. As a black teenager living in Inglewood but attending school in Santa Monica, McMillan had a front-row view of the black-vs.-white — exhilaration-vs.-disbelief — reactions to the verdict. “I was literally caught between these two worlds,” said McMillan, a playwright whose drama “Watching O.J.” opens Saturday at the Atwater Village Theater complex in conjunction with the verdict’s 20th anniversary. “I think the confusion was, did we take a step forward or a step back?” McMillan told City News Service. “In some respects you could argue that O.J. Simpson got a quote-unquote ‘fair trial’ by the standards of, if you have the money, if you have the ability to pay for the Dream Team … you can get justice. And if you don’t, regardless of what color you are, you don’t. “O.J. 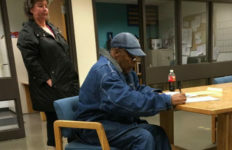 had the ability to beat the system,” he said. What the Oct. 3, 1995, verdict revealed was the divide that lingered among ethnic groups that were watching on TV screens across the country. Simpson became “our win, our touchdown,” for a black community that “had been on the losing side of the equation for so many years,” McMillan said. For white Americans, Simpson — even with the acquittal — became a fallen “pathetic Othello,” he said. “Here was a guy we thought we knew, and we didn’t know,” McMillan said. The verdict, regardless of the facts of the trial and whether it was right or wrong, forced the issue of racial and social-class divides to the surface, and instantly taught people more about friends and neighbors they thought they already knew — based solely on their reactions to the trial, McMillan said. It’s that social dynamic that drives his play. The 20th anniversary of the Simpson verdict is a time for reflection for many of the players directly involved in the case. 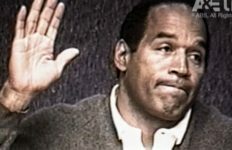 For Angelenos, it’s a reminder of the almost-surreal events that were all-too-real — the bloody slayings of Nicole Brown Simpson and Ron Goldman, the sudden fall of a college and professional football hero, a suicidal Simpson threatening to shoot himself at his friend Robert Kardashian’s house, the chase in the white Bronco, the almost-circus-like trial that kept much of America glued to TVs, and ultimately the verdict that stunned a nation. “I could remember feeling my heart, like, thumping so loudly that I thought it was going to pop out of my chest,” Goldman’s sister Kim told ABC7 in a recent interview, recalling her courtroom emotions awaiting the verdict. Much of the actual reading of the verdict remains a blur for her. The trial itself made stars of some — like famed O.J. houseguest Kato Kaelin — and pariahs of others — like LAPD Detective Mark Fuhrman. Gavel-to-gavel television coverage turned ordinary Americans into legal pundits and critics, providing enough fodder to turn workplace water-cooler gatherings from simple banter to politically charged debate. Americans voracious for any and all trial news drove a rampant media throng that made headlines out of even the most mundane moments — such as the judge confiscating prosecutor Christopher Darden’s pager when it buzzed during the trial, and Ito being bumped on the head by a boom microphone when he walked through the media encampment at the downtown courthouse. The case made defense attorney Johnnie Cochran Jr. a household name and vaulted the phrase, “If it does not fit, you must acquit” into the national lexicon. “The drama of seeing how it didn’t fit really had an impact on the jurors,” he said. Dershowitz told KNX the prosecution team could have asked Simpson to try on the gloves outside the jury’s presence first, but they were almost “cocky” for not doing so. “We didn’t have the glove. The glove was always in the possession of the police, so it couldn’t have been tampered with,” the attorney insisted. These days, Simpson is languishing at a prison in Nevada, following his 2008 conviction for armed robbery and kidnapping stemming from a confrontation with memorabilia dealers at a Las Vegas hotel. Although he was acquitted of the 1994 killings of his ex-wife and Goldman, Simpson was ordered in a civil trial to pay $33.5 million to the victims’ families — but very little of it has ever been paid. Twenty years later, what resonates with McMillan is the question of how far race relations have come in the past two decades — whether the nation has moved forward at all in light of racial unrest over police shootings both here in Los Angeles and places like Ferguson, Missouri. “And I would say that we have, but we haven’t solved everything,” McMillan told CNS.